RMT welcomes TUC support for campaign to force resignation of Transport Secretary "Failing Grayling"
In a debate on transport policy in Manchester today the TUC has voted to throw it's weight behind rail union RMT's campaign to force the resignation Transport Secretary Chr‎is Grayling as he presides over a Department in a permanent state of chaos which has exposed his own credentials as Britain's leading specialist in failure. The charge sheet against Chris Grayling is deadly serious. * He has encouraged and bankrolled rail companies seeking to axe guards from their trains while doing nothing to help broker solutions to disputes on Southern, South Western and Northern Rail. * He presided over the May timetable chaos that still remains unresolved and which has condemned hundreds of thousands of passengers to daily transport misery. * He has starved Network Rail of the resources needed to maintain and upgrade rail infrastructure, including the scrapping of key electrification projects, and which has forced the announcement today of a one off fire sale of long-term, income producing assets to plug gaps in the budget. * He is attempting to impose a pay cap on rail workers that would reduce living standards and rob RMT members of thousands of pounds - demanding that front line staff pay the price for his incompetence and Train company greed. * Despite being forced to sack Virgin on the East Coast - a third private sector failure on the route - he refuses to even consider the universally popular option of bringing the rail network into public ownership. *Bus services have been decimated, axing lifeline services and condemning hundreds of thousands to lives of transport poverty with entire communities now cut adrift from the transport network. 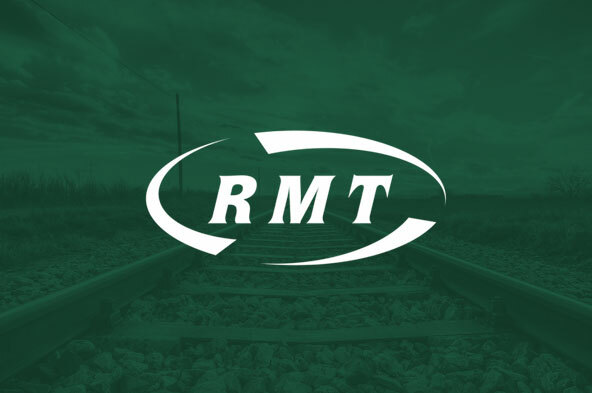 "RMT warmly welcomes the support of the TUC for the campaign to draw a line under the years of incompetence, failure and exploitation on our transport services under the direction of Chris Grayling. He has proved himself a specialist in failure on an industrial scale. "Not only does Grayling need to go but the rotten policies that have been‎ the hallmark of his years of failure at the Transport Department need to be swept away as well. "The campaign for publicly owned and controlled trains and buses, run as public services, free from the spivs and racketeers, is gaining moment‎ by the day."